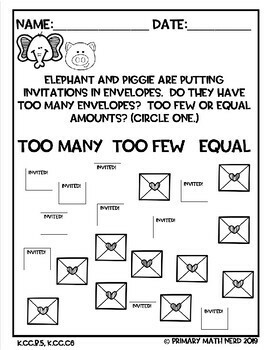 Elephant and Piggie! I AM INVITED TO A PARTY! Math Integration! CCSS Aligned! 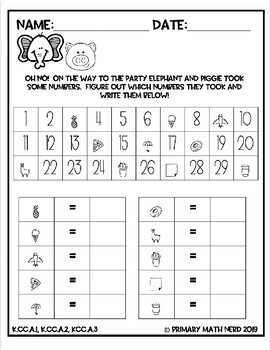 Do you love Elephant and Piggie? 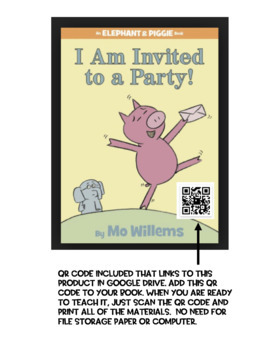 Do you want to integrate Mo Willems' book, I Am Invited To A Party, into other subjects areas? 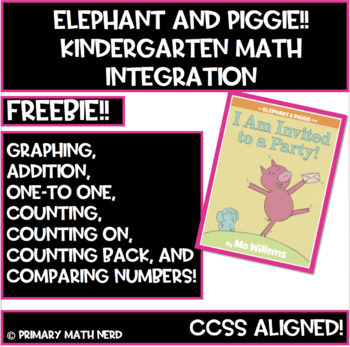 This product allows you to use Mo Willems wonderful book and integrate math. The students will be counting, graphing, adding, finding missing numbers, comparing numbers and more!! There is no planning, no fuss. This resource is best suited for kindergarten classrooms but can be used in first if your class needs review. Just print and go. Leave it for a substitute teacher. Pull pieces for a small group. Make it a fun whole class activity. You can buy the book below using my affiliate link. Looking for more DIFFERENTIATED and ENGAGING math resources? SCOOT! Addition Fluency Within 20! Differentiated! SCOOT! Subtraction Fluency Within 20! Differentiated! Would you like credit toward future TpT resources? Make sure to review this and all resources that you purchase on TpT.